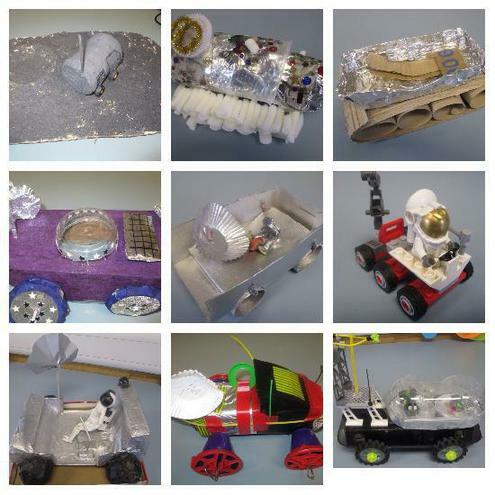 For our homework we could either design a space buggy or build one. Some of us built vehicles and here are some photos of these buggies. We all had really different ideas about what would make a good space vehicle which would be able to travel over different surfaces.